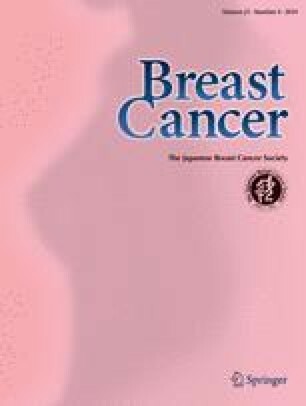 Human epidermal growth factor receptor type 2 (Her2)/ErbB2 plays a key role in the initiation and progression of invasive breast cancer. However, the prognostic relevance to breast cancer patients of the other ErbB family members has long been a matter of debate. In a series of 250 primary invasive breast cancer patients, we performed a comprehensive analysis of ErbB1–4 at the levels of mRNA expression and gene copy number using real-time quantitative PCR. The relationship between the status of ErbB1–4 and the clinicopathological characteristics or prognosis was evaluated. ErbB3 and ErbB4 mRNA expression, as well as well as that of ErbB1 and ErbB2, could be histopathological factors. ErbB3 mRNA was highly expressed in ER-positive tumors and has controversial prognostic value. ErbB4 mRNA expression was well correlated with ER positivity and good prognosis, indicating that ErbB4 may contribute to ER-dependent growth. We thank Y. Azakami and Y. Sonoda for excellent technical support and A. Okabe for clinical data management.